1. 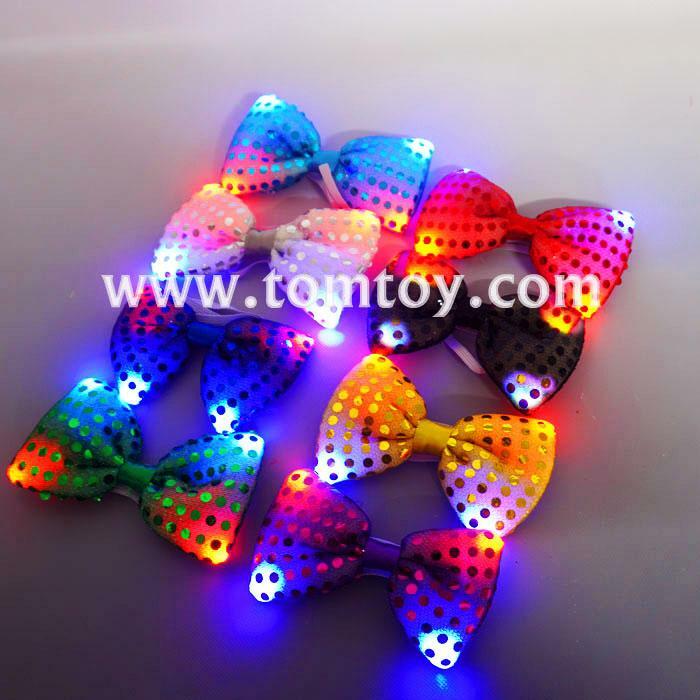 A glowing costume accessory for New Year's Eve, Halloween, or everyday partying! 2. These unique bowties are adorned with a dazzling display of sequins. 3. Press a button to trigger a series of flashing configurations of light. 5. Multicolor and OEM/ODM is warly welcome.